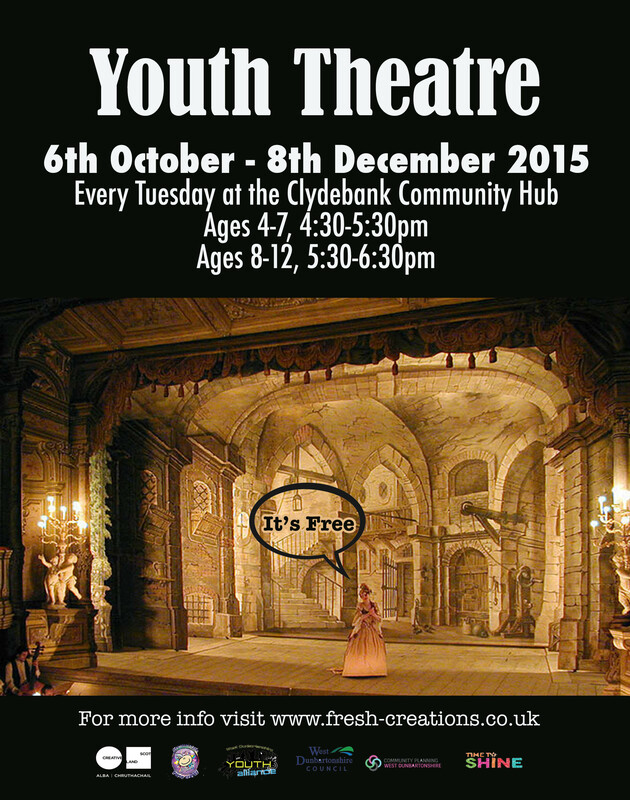 Join us for our new Youth Theatre Programme! To book your place, please email info@fresh-creations.co.uk or call 0141 941 3308.
do you have spaces ,my daughter is 4 anf would enjoy this ..thanks . Yes we do have spaces. You can just show up at the next class on Tuesday from 4:30-5:30pm and they will add you to the register.